GC6J12A Lions Head Long Hike Event (29 Sept) (Event Cache) in Western Cape, South Africa created by WC Geocachers. Date : 29 September 2016 - Thursday. 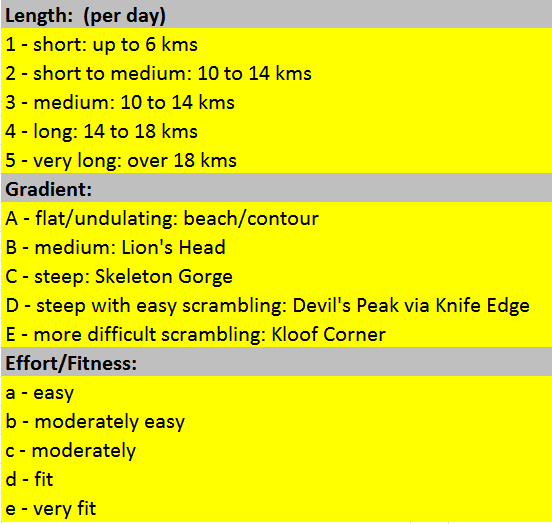 Reason : Quick get together for all Geocachers before a hike up Lions Head at 07h30. Hike Leader : Wynn Groenewald. (terunkie) with a level 3 medic. 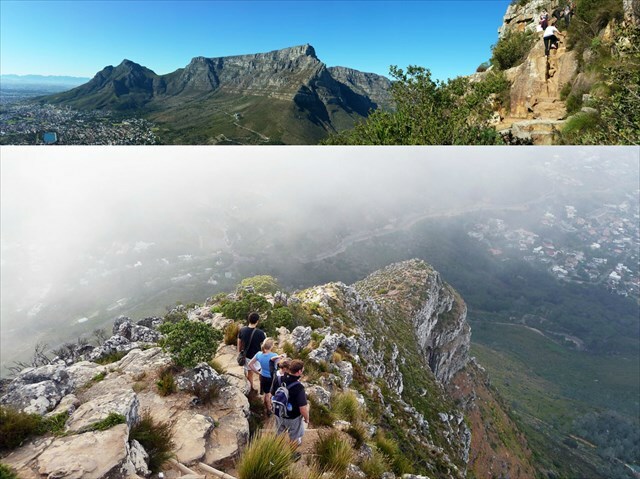 The best thing about the Lion’s Head hike is the spectacular views over Cape Town, Table Mountain, Camps Bay, Table Bay and Robben Island. The three-hour walk to the top of Lion’s Head is quite a challenge, and not suited to the unfit. The route starts at Signal Hill Road, at the base of Forestry Road and spirals around the head to a section with chains. These have been put in place to assist climbers over a steep, rocky section. Although there is an alternate route that bypasses the chains, the ascent is still steep and not to be taken lightly. Participation in this hike is entirely at your own risk. 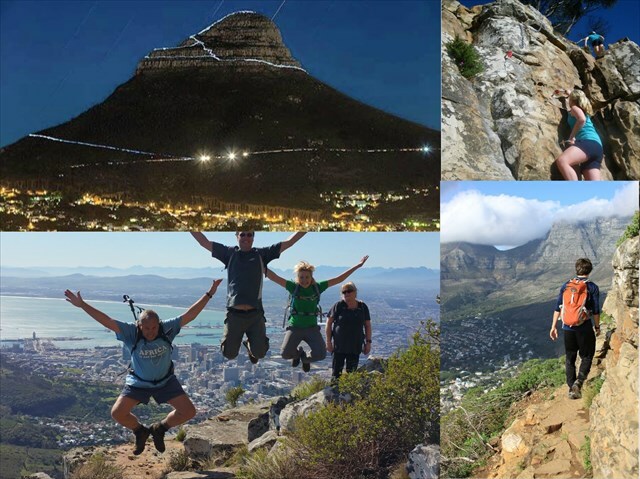 The Cape Town 2016 committee and/or the hike leader can not be held liable for any incident arising, such as injury, illness, damage, loss, mishap, accident or any other occurence, during the hike, including travelling to and from the event. Before setting off on the hike you will be asked to sign an indemnity agreement. The hike leader reserves the right to refuse an individual from partaking if he/she feels that such person will endanger him/herself or others on the hike.